Hi dears, as we know YouTube is the largest video sharing platform and by a large margin. 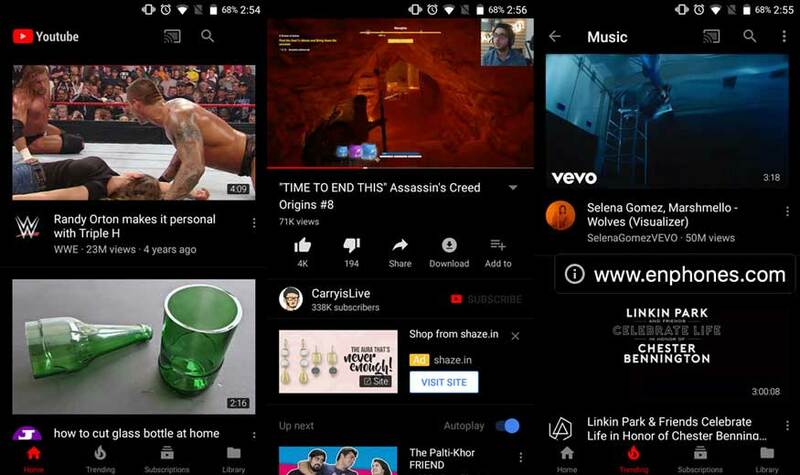 Even with all of the competition from licensed streaming services and Facebook, so if you’re watching YouTube on your smartphone android, you’re still stuck with an app with white background, without Background Playback and also with a lot ads, today we have the latest version of Modded YouTube apk to download videos and a lot of features you need without root. 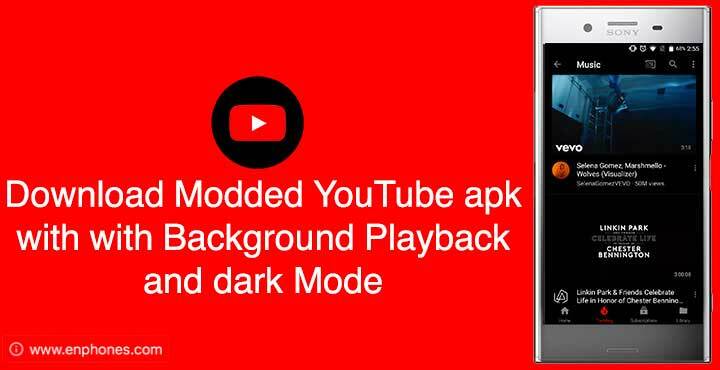 One of our apk feature is Dark mode and it's currently labeled Dark Watch on YouTube v12.45 but you can not just activate it from the settings yet. The feature seems half-baked at best right now which is probably why Google chose to disable it. In addition to Dark mode, this version has also Background playback feature so you can watch video in the background, through which the video is played automatically even after you leave the youtube application and browse other applications such as chat or social apps. Another advantage is that this version of modded youtube prevents the display of ads within the videos. It also allows you to download high quality video on your Android phone with one click only. There are also many other features that you can discover yourself. First, you need to delete the official YouTube app installed on your phone, or at least turn it off from your phone's settings > apps manage. Download the two APK files from the bottom direct links. Install Youtube modded APK and microG APK (you will need to activate the "Unknown sources" option in your phone's security settings). Directly, you'll notice that the YouTube app icon now has a black background panel. Run the app and enjoy a dark user interface.